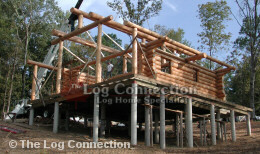 Before shipping to your site, the log home is completed as a free standing structure at The Log Connection build site. This process ensures each piece of your home has been properly fit and has passed our quality control examination. Each of our handcrafted log homes is extensively checked and rechecked before ever being considered complete. 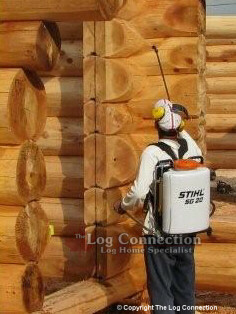 When the final sanding and clean up of the structure is complete, each log is tagged with an identifying number. Then the log shell is dismantled and loaded onto trailers or into containers ready for transportation. During this initial log home build, your general contractor will simultaneously prepare your foundation and sub-floor at your build site. When the sub-floor is ready, the completed hand crafted log shell package can be delivered. Typically the log package stack at your site will begin on a Monday. 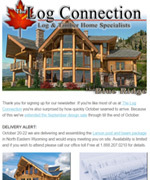 The delivery of the log home package is accompanied by at least one Log Connection technical assistant that will be with you for the entire stack of the log home package to advise and assist your general contactor in the re-assembly. See the page What's Included for a complete handcrafted log shell package description. 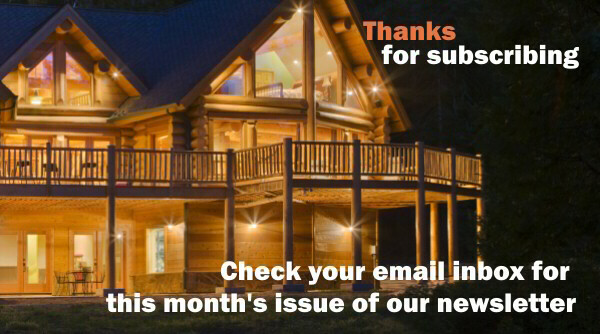 This one-minute time-lapse video of a recent log home setup was recorded over a period of two days. Watch the stacking of the log walls, the placing of the upper floor log beams, the upper floor log posts, and finally the roof beams. Full visual inspection of all logs during tagging and numbering. Final spot sanding and cleanup of logs before shipping. Apply non-hazardous wood treatment to prepare for staining, maintain color and deter mold and fungus growth. 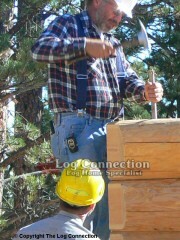 Installation of log roof members. After re-assembly of the shell, consult with your general contractor to ensure a full understanding of the framing and finishing details required for a log home.